The USSR has played a critical role in the world events of the 20th century. From the opulence of the Tsars through revolution and the birth of communism Russia is a fascinating place for a school trip. 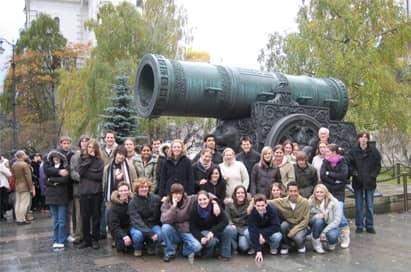 A two centre trip allows students to visit Moscow one of the most fascinating, fastest-changing cities in Europe and a must for students of history and politics. 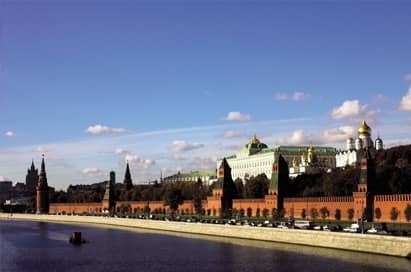 Pass beneath the Kremlin walls and walk around Red Square and you cannot miss the historical significance. 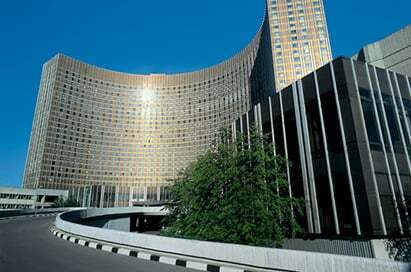 Contrast with St Petersburg which combines Russian heritage with a distinct European influence, . From its tsarist beginnings through revolution and on to world war deprivation the city’s turbulent history will enthral students studying 20th century history. 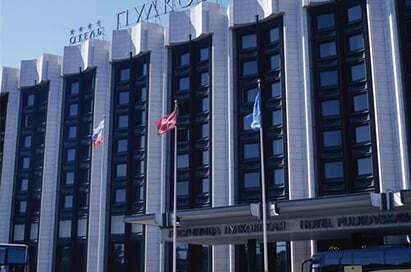 Arrive at St Petersburg station where your City Rep will accompany you to your hotel for breakfast. 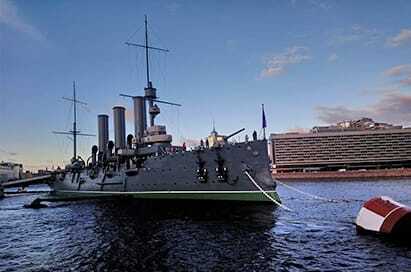 St Petersburg City tour followed by a visit to Cruiser Aurora and Political History of Russia Museum Evening Meal. Visit Old Arbat Street, one of Moscow's best known shopping areas. 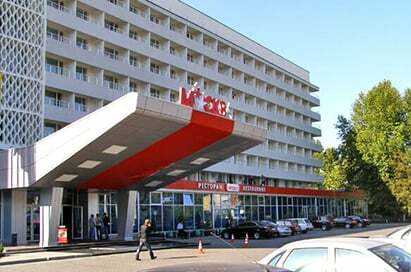 Arrive at St Petersburg station where your City Rep will accompany you to your hotel for breakfast. 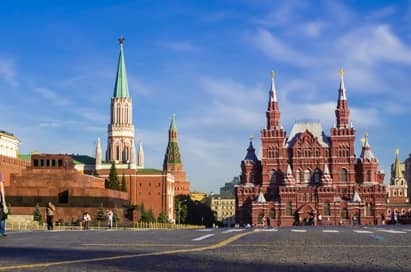 Throughout history, Red Square has always been Russia’s principal location for monumentous gatherings, proclamations & demonstrations, from the overthrow of the Tsars to displays of the USSR’s military might. From whatever direction you enter Red Square, your eyes will automatically be drawn the devastatingly beautiful St Basil’s Cathedral, the most concrete symbol of the enigmatic spirit of the Russian people. Legend has it that Ivan the Terrible commissioned the cathedral in 1555 to celebrate a major military victory. 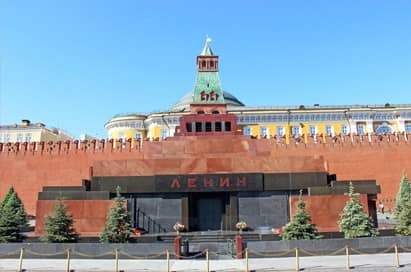 Built in 1924 of red granite & black labradorite, the mausoleum plays host daily to one of the greatest grotesqueries of communism: the display of Lenin’s body. A visit is a nauseating yet thrilling experience! This visit allows students to see the grounds of the most potent symbol of the Russian State. The Tsar’s Cannon & the Tsar’s Bell are also located in the grounds, respectively one of the largest & the largest in the world. The Museum has 4 halls and over 2 thousand exhibits describing the history of Russian counterintelligence. 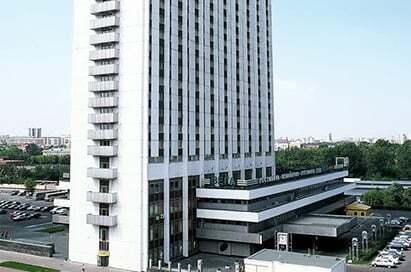 The Historical and Demonstration Hall of the Federal Security Service of Russia (originally called Tchekist Hall of the KGB of the USSR) was opened in September 1984 on the initiative of J.A.Andropov. 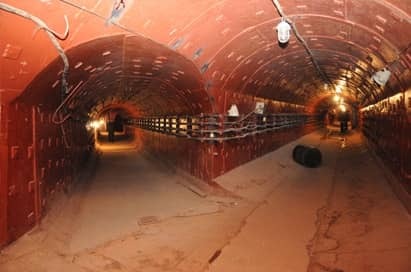 Constructed as an emergency command centre during the World War II and still contains personal belongings of Stalin and items connected with the war. An opportunity to visit some of the extraordinarily beautiful metro stations for which Moscow is famous. Opened in 1935, each station was constructed by a different designer, displaying examples of fine mosaic, bronze statues, gilding and crystal. Perceived as public palaces, the beauty of each station is outstanding and the obvious respect shown by the locals is a credit. Visitors who wish to understand Russia & her eternal struggle for freedom must make it a priority to take a walk along this historic street. As Arbat was the home of artists, writers & poets, Stalin could easily round up the ‘intelligentsia’ to send to their deaths in the Siberian labour camps. Today, this pedestrianised street is the best place in the city to let your students wander independently to soak up the atmosphere of contemporary Moscow. Even in the depths of winter, you will find a mix of street entertainers, artists & vendors of tourist souvenirs. 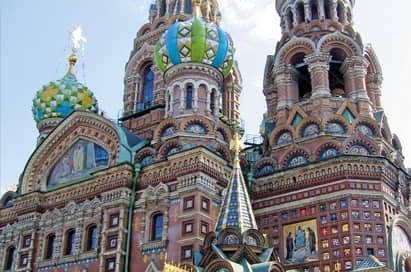 A sightseeing tour of St Petersburg will offer the opportunity to see all its main attractions including the Church of Spilled Blood, Nevsky Prospekt, Winter Palace & Summer Palace. Your experienced guide will give information on the history of the city and will be able to answer any questions you have. Situated beside the river Neva, this is the historic birthplace of the city & where Peter the Great lived (in a cramped log cabin) through the early phase of St Petersburg’s development. 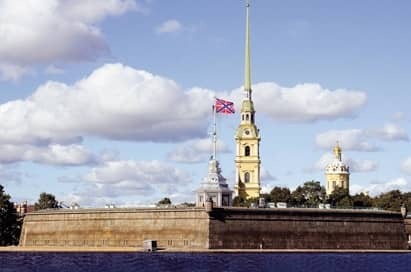 Today, explore the low-lying ramparts, cathedral & St Petersburg History Museum. The Peter and Paul Fortress houses a number of exhibition spaces, which presents the visitor with a mismatch of exhibits from pre Revolution St Petersburg. Possibly the most interesting is the Prison Museum where conditions were so terrible that suicide was often the favoured option for inmates. 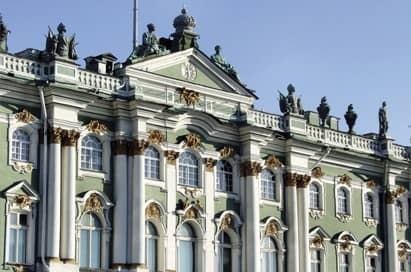 With more than 700 rooms the winter palace is the most ambitious palace in a city full of ambitious buildings and is the embodiment of the Russian autocracy. While it is now part of the Hermitage and houses works of art by Picasso and Matisse. 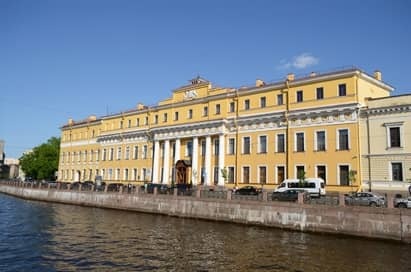 It is the original state rooms where the Provisional Government met during its last days and where ministers were arrested by the Bolsheviks that are of the most interest. This historical relic played a dramatic role in Russian history and has long been seen as an icon of the Revolution. Now a museum the cruiser houses exhibitions relating to the warships history. 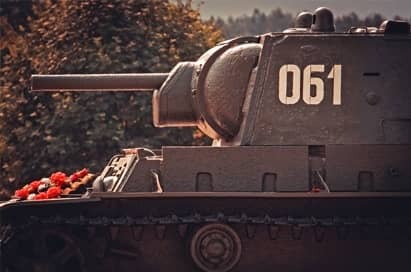 A large exhibition of militaristic memorabilia from the 900 day siege of Leningrad when the city survived by cooking up bags, cats and anything else they could get their hands on. Includes some quite graphic black and white photographs of the soldiers on the front line and dead bodies in the snow. This tidy and well kept cemetary is amemorial to the 670,000 citizens who died of starvation during the blockade. As well as the cemetary itself are 2 rooms which house photographs showing a pictoral history of the city’s sacrifices in the war against facism. Once a residence of the wealthy and respected Yusupov family, the Yusupov Palace witnessed a defining moment in Russian history, the murder of Rasputin. The beautiful interior contains works of art by Rembrandt and Rubens, French tapestries and porcelain, Venetian mirrors and many exquisite mosaics.